Banff & Buchan MSP Stewart Stevenson has welcomed the easing of the Single Farm Payment test. The 10-month rule governing Single Farm Payments has been eased. Farmers and crofters are now required to have land at their disposal for a period that, at a minimum, covers May 15 each year. This new arrangement is introduced following European agreement of increased flexibility in the rules governing payments under the Single Farm Payment scheme. It eradicates the 10-month rule which required farmers to possess land for almost one year to be eligible for the scheme. This led to farmers leasing grazing land, which they may only have used for a few weeks, for the entire 10-month period, reducing the availability of pasture land and increasing personal outlay. The new arrangement makes land more freely available and more competitive. "It is welcome news for farmers and crofters that the Scottish Government has eased the restrictions which were in place for the Single Farm Payment scheme. "My constituency covers a large prime agricultural area and I regularly have constituents approach me concerning issues relating to the burden of bureaucracy surrounding farming and its associated industries. "I welcome any moves by the SNP Government to take proactive measures which will ensure farmers can get on with doing their job rather than being unnecessarily hindered." "This change is good news for farmers and crofters as it will sit more comfortably alongside Scotland's traditional letting system. It is particularly good that the change can be made without compromising the basic standards of for the environment, food safety, animal health, and good agricultural and environmental conditions. "I hope those involved in letting arrangements will work together to clarify responsibilities for cross-compliance conditions on land let to several producers". The Single Farm Payment Scheme is worth approximately £400 million to Scotland's farmers and crofters. Farmers will be able to safeguard themselves against penalties incurred under cross compliance rules through legally enforceable clauses in letting agreements. These should ensure costs are reimbursed for non-compliance incurred by others. 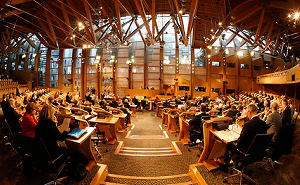 Banff & Buchan MSP Stewart Stevenson has attended the ‘Taste of Grampian’ reception in the Scottish Parliament, an event showcasing the best of food and drink from the North East. Food producers from all over Aberdeenshire came to the Parliament to invite MSPs to taste some of the finest produce the North East has to offer such as smoked salmon, shortbread, butteries and prime roast beef. Mr. Stevenson took the opportunity to visit the stalls of Kindness Bakers, New Deer and Murdoch Allan & Sons, Hattan and sample some fine pieces straight from Banff & Buchan. 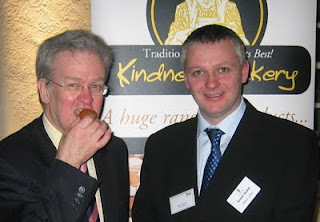 “I am delighted to have gotten the chance to welcome these two quality local food establishments, Kindness Bakers of New Deer and Murdoch Allan & Sons of Hattan to the Scottish Parliament. Indeed I took the opportunity to sample some of the fine pieces on display which made the experience all the more enjoyable. “Here in Banff & Buchan we boast some of the best food in the country and indeed the world. From quality bakeries like these to excellent butchers, fish processors and many many more, we are host to an array of first-rate food businesses. Banff & Buchan MSP Stewart Stevenson has welcomed the news that the Scottish Government is investing £24 million to help more first-time buyers get into the property market. The new funding, announced by Communities and Sport Minister Stewart Maxwell, will see the extension, and improvement, of the open market shared equity pilot which currently operates in Edinburgh and the Lothians. The extended scheme will now be available to first-time buyers in Aberdeenshire. The affordable housing programme, which is part of the Government’s new Low-cost Initiative for First-Time Buyers (LIFT), will help more people on low incomes buy a home on the open market, with the help of a housing association. “Many people on low incomes in Banff & Buchan find it extremely difficult to afford to buy their first home. That is why I am delighted the SNP Government has improved the targeting of this scheme to ensure tenants of councils and other social landlords are aware of, and have access to, this shared equity pilot. "Many young families and individuals in Banff & Buchan have raised concerns with me about the difficulties of getting on the housing ladder. This investment marks a significant improvement in fortunes for first time buyers and should also help make available more social housing as families secure their own home. "I hope that the Westminster Government is paying attention to this initiative and that they will take the economic action necessary to further improve the situation for first time buyers in Banff & Buchan and across Scotland." “The Scottish Government is committed to increasing the supply and availability of affordable housing, across all tenures, throughout the country. Limits will be set on the price of property that can be purchased through the open market shared equity pilot. These limits will be available at www.communitiesscotland.gov.uk/lift and will be reviewed regularly to reflect current house price trends. The stake taken by the purchaser will normally be determined by the maximum mortgage that can be raised plus any personal contribution that the purchaser is able to make. If this was 70,000 on a property valued at 100,000 then a 70 per cent stake would be held by the purchaser. Housing associations are building new supply shared equity properties throughout Scotland under the New Supply Shared Equity scheme also part of the LIFT initiative. Details of New Supply Shared Equity homes planned or under construction are available from Communities Scotland area offices. Banff & Buchan MSP Stewart Stevenson has welcomed moves by the SNP Government to deliver on their manifesto commitments on rural schools. A Scottish Government spokesperson stated yesterday (Monday) that the Government will consult this spring on a new law which would introduce a presumption against the closure of rural schools. “I am delighted to see that the SNP Government is fulfilling its manifesto commitments to the people of rural Scotland by consulting on a legislative presumption against rural school closures. “Before May the SNP pledged to tighten regulations for school closures and introduce a legislative presumption against closures of rural schools. And now in our first year in Government we are moving towards delivering on that commitment and fulfilling yet another manifesto pledge. “Access to a local school is vital to people living in rural areas of Banff & Buchan. It is important to children and parents alike that pupils are able to attend a school in their local area without the need to travel long distances every day. "Kenny's announcement is fantastic news for communities in Banff & Buchan and across Scotland. This Government is firmly committed to improving people's lives through a healthier, fairer and wealthier society. "By diverting funds from criminal activity into a project which will have numerous benefits across the social and economic spectrum, we are ensuring that Scotland's children will be given the opportunity to adopt a healthier, happier and more positive lifestyle at a young age. "Those in society who commit crime are burdening our towns and communities with their negative outlook. If we can get our children into football, or any other sport for that matter, we can increase aspiration and self-ambition in the society in which we live. "In towns such as Banff, Fraserburgh and Peterhead and the surrounding rural areas, It is vital that youngsters are given the chance to become active members of their communities. This scheme does that whilst at the same time demonstrating that people who waste their lives in criminal activity are missing out. "Criminals don't contribute to our communities - they live off them. That harms our economy but it also saps self-confidence and ambition - especially among young people. That's why its time for crime to pay and for the cash they make off the backs of law abiding folk to flow back into our communities. "With our Cashback for Communities programme we are taking their ill gotten gains off them and giving them back to communities to make a real difference to the lives of young people throughout Scotland - providing both opportunities on the ground and a truly symbolic message. "This is just the start. We are looking at a range of further initiatives - in sport, in the arts, in youth work, locally and nationally. Further announcements will be coming within the next few months. "Scotland's children and young people need to have the opportunity to realise their potential, to have real hopes and aspirations for their future and have a clear understanding that getting involved in crime and antisocial behaviour is not acceptable. We want to give our young people positive things to do with their lives and Cashback is giving us the way of doing just that." * A National network of 5-a-side football activity running from Jan - June, targeting youths. * A National network of 3 and 4-a-side football activity targeting youths, based in 32 venues throughout Scotland, and aiming to involve up to 9,600 young people per year. * The creation of 6 schools-based football academies for 120 P7 pupils who haven't responded to traditional teaching. * A programme to bring 1,700 new volunteer coaches into the youth game. This three-year football initiative, to be funded from over £2.2 million from proceeds of crime funds and £1,926,485 of funding from the SFA, HBoS and the Coalfield Regeneration Trust, is the first of a range of positive activities for young people under this Government's "Cashback for Communities" scheme which will see the money and goods seized from serious organised criminals being used to make a real difference to the lives of young people across Scotland. Over the coming months there will be further strands announced, including support for youth groups throughout Scotland, and culture and arts projects aimed at young people. Banff & Buchan MSP Stewart Stevenson has highlighted the importance of RNLI SOS Day which takes place on Friday 25 January. “The Royal National Lifeboat Institution is a registered charity that saves lives at sea. It provides, on call, a 24/7 search and rescue service to anyone who gets in trouble up to 100 miles from the coasts of the UK and Ireland. The RNLI continues to rely on voluntary contributions and legacies for its income. “Every day, 22 people are rescued by the RNLI's lifeboat crews. This service is only made possible because of the personal courage and commitment of the RNLI's brave volunteers. Rescue doesn't come cheap and it doesn't happen by accident and training can make the difference between life and death. “I therefore urge schools, businesses, pubs, clubs and groups to participate in the day and show their support for the bravery and lifesaving work of the RNLI's volunteer crew members and lifeguards. You can register now for your FREE SOS day fundraising pack by visiting: http://www.rnli.org.uk/sosday/register. Two new members have been appointed to the board of David MacBrayne Ltd. Both of these new three year appointments are effective from January 1, 2008 are part-time and attract a remuneration of £7,175 p.a. for a minimum time commitment of two days per month. Dr Robert Sinclair lives in Aberdeenshire and since August 2000 has been the Principal of Banff and Buchan College of Further Education. He has also worked as a Master Mariner with BUE Offshore Vessels and Treasure Petroleum Services and as Principal of the North Atlantic Fisheries College in Scalloway. He is also on the Board of the Museum of Scottish Lighthouses. 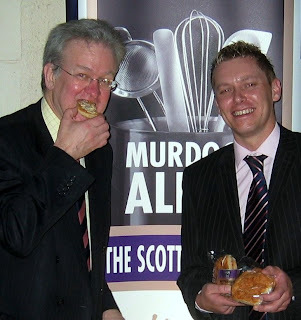 Mr Norman Quirk lives in Aberfoyle and as a Chartered Accountant he is a former Managing Director of SAGA Radio, having previously worked in senior management for several other radio stations in Scotland. He is also the Chair of the Scottish Chambers of Commerce, President of the Glasgow Chamber of Commerce and President of the Glasgow Junior Chamber of Commerce. "I am delighted to announce the appointments of Robert Sinclair and Norman Quirk to the Board of David MacBrayne Ltd. Both men bring with them a wealth of experience which will not only benefit the company, but also importantly the many passengers and businesses who rely on our vital ferry services. "The Scottish Government is committed to improving Scotland's lifeline ferry services. These new appointments to David MacBrayne Ltd will help CalMac and NorthLink to deliver on that commitment." David MacBrayne Ltd is wholly owned by Scottish Ministers and is the group holding for CalMac Ferries Ltd and three other ferry operating subsidiaries, NorthLink Ferries Ltd, Cowal Ferries Ltd and Rathlin Ferries Ltd. It is expected that both of the new appointees will be appointed by David MacBrayne Ltd to the Boards of one or more of these subsidiaries. CalMac Ferries Ltd currently provides the Clyde and Hebrides ferry services through the new public service contract which started on October 1, 2007. NorthLink provides the Northern Isles ferry services through a contract which started on July 6, 2006. Cowal Ferries Ltd operates the Gourock-Dunoon service and Rathlin Ferries Ltd operates the Ballycastle-Rathlin Island service in Northern Ireland. These Ministerial public appointments were made in accordance with the Commissioner for Public Appointments in Scotland's Code of Practice. All appointments are made on merit and political activity plays no part in the selection process. However, in accordance with the original Nolan recommendations, there is a requirement for appointees' political activity (if there is any to be declared) to be made public. Neither person declared any political activity. Banff & Buchan MSP Stewart Stevenson has welcomed the launch by Health Secretary Nicola Sturgeon of a consultation on plans for greater public involvement in the NHS. Proposals include direct elections to health boards. The proposed Local Healthcare Bill will seek to enhance the role patients and the public play in decisions about how local health services are designed and delivered. The consultation asks for views on how this might best be done. "I welcome the proposed Local Healthcare Bill, which is part of the Scottish Government's drive to improve public and community involvement in the work of NHS boards. I have long hailed the benefits of local healthcare and am delighted that the SNP has taken this positive step. "More than most places, Banff & Buchan knows that health care can only be delivered through a genuine partnership between Health Boards and the people. This has been demonstrated in the past by the proposed closures of maternity units in Fraserburgh and Banff under the Labour/Lib Dem Executive which the local communities had to fight. I believe that makes a strong case for more local democratic control. "Communities must always be at the heart of the way health services are governed. The process for any service changes must be rigorous, evidence-based and open to scrutiny. I would therefore like to encourage people in Banff & Buchan to take part in this consultation." The consultation runs until April 1 2008 and is part of the implementation of the Better Health, Better Care Action Plan. The Scottish Government will begin the process today of securing European Commission approval to continue the Air Discount Scheme beyond 2008. The Air Discount Scheme gives residents of Orkney, Shetland, the Western Isles, Islay, Jura, Caithness and North West Sutherland a 40 per cent discount on the price of core air fares. Membership of the Scheme across Scotland is already at 87 per cent and the Scottish Government wants the Scheme to continue. If approved by the Commission, the discount would be secured until March 2011. "The Air Discount Scheme is less than two years old, but it has had a very encouraging start, bringing cheaper air travel, reduced journey times and more accessibility to communities across the Highlands and Islands. "The Scottish Government wants that to continue. "For Scotland's most remote communities, air travel can at times be the only practical way of travelling. "The ADS allows them to do that more easily and cheaply and we want to ensure families and individuals can continue to benefit in the years to come. "Discussions with the European Commission will be based around a three year approval, and we are confident that this will present no difficulties for the Commission. "If approved, this Scottish Government will continue to look at ways of improving the Scheme and increasing take-up even further." The Air Discount Scheme was established in May 2006 in recognition of the high fares that can apply on those commercially viable air services in the Highlands and Islands. The Scheme provides a 40 per cent discount on the core air fare for those residents of Orkney, Shetland, the Western Isles, Islay, Jura, Caithness and North West Sutherland registered under the Scheme. The ADS was introduced under the European Commission's Aid of a Social Character mechanism as a means of facilitating a greater level of social inclusion in these areas by making air travel cheaper and more accessible and thereby reducing journey times for residents travelling within these areas and to and from the main economic, administrative and population centres of Scotland. The choices faced by these communities were typical journeys of a long duration or expensive air fares. A brief analysis on the impact of the ADS so far was conducted by Halcrow on behalf of the Scottish Government between September and December 2007. This showed that since the Scheme's introduction in May 2006, there have been significant increases in patronage on some ADS related services and significant increases in the frequency and capacity of these services. This research is now being finalised and will be published shortly. Current European Commission approval for the ADS runs until March 31, 2008. New approval will result in the ADS continuing for a further three years, taking it to March 31, 2011.